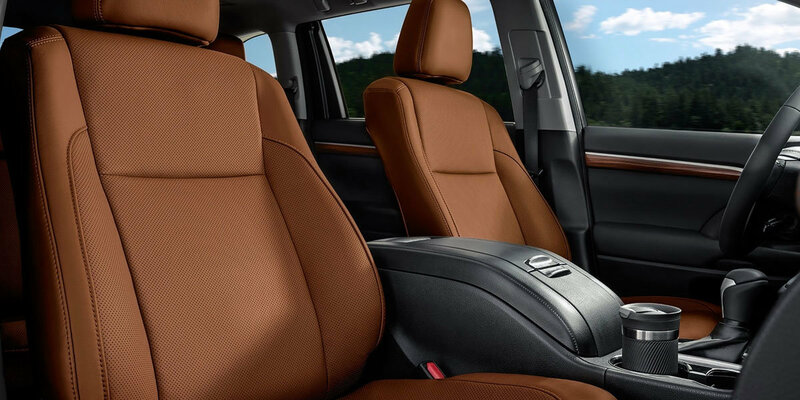 Completely refined and luxuriously designed, the interior of the new 2019 Toyota Highlander has space for up to eight with third-row seating. Ride in style and quiet comfort, with second and third-row captains chairs surrounded by sound insulated floors and acoustic glass. 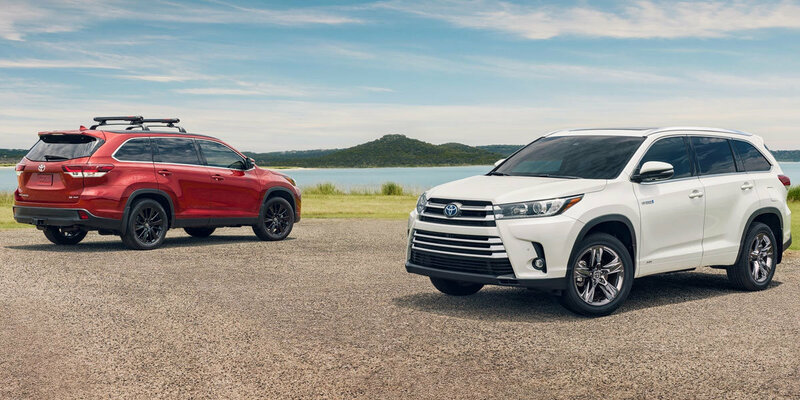 Experience the downtown Parkersburg Multi-Cultural Festival or a take drive through Fort Boreman Park, whatever your lifestyle, Toyota’s new Highlander has you covered. 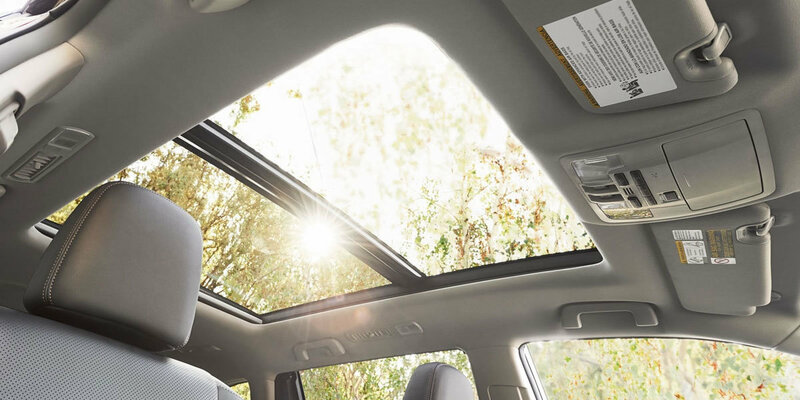 Don’t let its luxury styling fool you, with ample cargo space, load up the 2019 Toyota Highlander with all your hiking, camping and fishing gear. If “Glamping” is more your style, plug in all of your tech and comfort accessories with five 2.1A USB ports and three 12V power outlets, while gazing up at the stars through a massive panoramic moonroof. Combine the Midnight-Black Metalic front grille and daytime LED running lights cluster with the black-accent headlight options and make a powerful first impression as you cruise through Downtown Parkersburg. Toyota’s Safety Sense™ System is standard equipment on most 2019 Toyotas. With features like a front-facing intelligent camera, pedestrian detection and pre-collision system, it is no surprise that Toyota continues to receive a 5-Star safety rating across the board. Access and control the Entune™ 3.0 App Suite with Apple CarPlay©. via a high-res 8-inch, multimedia touch screen. Immerse yourself in a transcending sound experience with Toyota’s exclusive 12 speaker, JBL tuned GreenEdge™ technology. Boost your sound yet reduce your vehicle’s energy and fuel consumption. A 360° bird’s eye camera provides perimeter-scan technology for safe street parking in the downtown Parkersburg area. Featuring a 3.5-litre V6 engine, coupled with an eight-speed automatic transmission, the 2019 Toyota Highlander packs all the performance and power you need when hitting the US-50, Robert Byrd Highway, Northwestern Pike or an out of town commute across the Little Kanawha or Ohio Rivers. 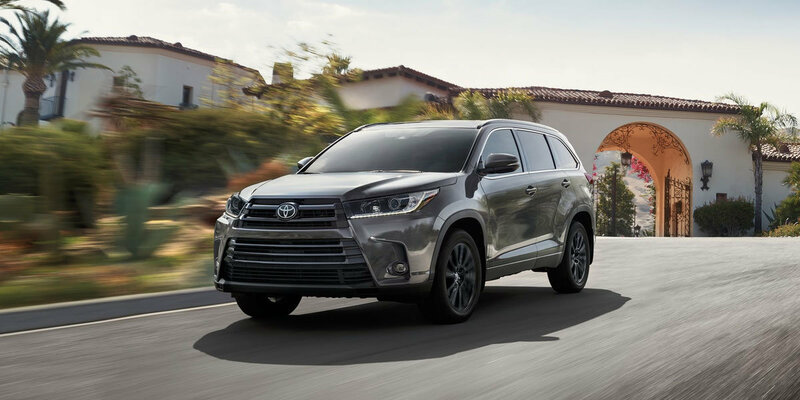 The powerful and stylish 2019 Toyota Highlander awaits you at Superior Toyota. Call us at 304.424.5122 or contact us now and book a test drive.